Sorry, but we need to agree again to a new terminology I am going to use in all the rest of the tutorial. My aim is to make your learning a lot faster, no technical jargon. 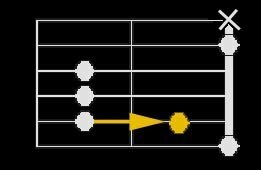 In previous posts, I have been talking about moving the whole chord position up or down. Meaning, all finger positions move up, or down, simultaneously, same step-count. 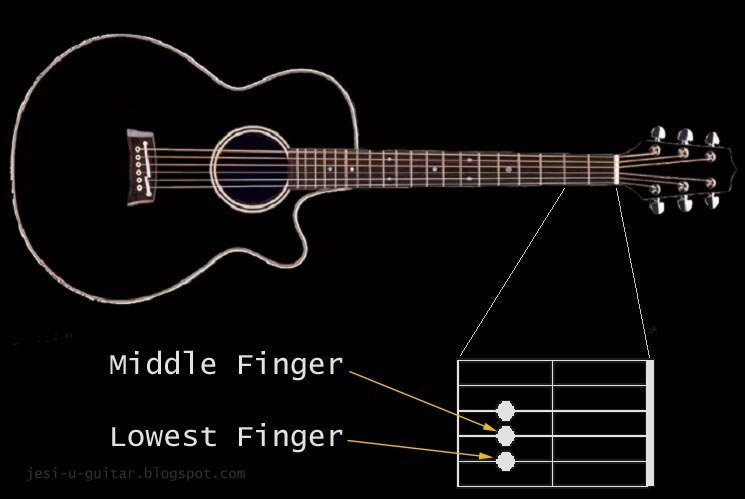 This time, we need to move some fingers up or down without moving the chord's position in the fretboard. We will use this method for minor (m), seventh (7), major seventh (M7) and sus derivations. New term: middle finger, lowest finger. 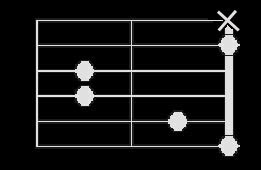 These are the literal finger position in the fretboard as you fret a chord, excluding the barre finger. Lowest finger, is the finger closest to the ground, middle finger is the next finger closer to the ground. 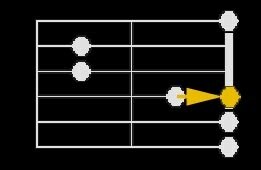 Let's look at A-chord again. To get a minor, move the lowest finger down 1-step. And Am, note how the fingers are rearranged. Let's try Em...from E of course! Em. Yes, lift the index finger and that's it! Easy? Now you could derive 12x4 or 48 chords! 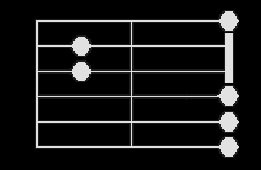 Believe me, once you get used to the derivations, it's a lot easier and intuitive than memorizing all 48 chords individually. Simple theme. Theme images by Aguru. Powered by Blogger.